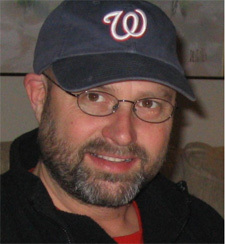 Professor Paul H. Barber is an evolutionary and conservation geneticist. His Ph.D. research at UC Berkeley focused on the dispersal of frogs among the sky islands of the desert southwest, but turned his attentions to marine ecosystems of the Coral Triangle as an NSF postdoctoral fellow at Harvard. He moved to UCLA in 2008 from Boston University. Honors include the Presidential Early Career Award for Scientists and Engineers, the UCLA Distinguished Teaching Award, UCLA Diversity, Equity and Inclusion Award, and the Life Science Award for Excellence in Educational Innovation. 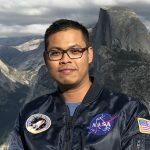 Aji Anggoro is interested in the interplay between ecological and evolutionary processes that shape species and genetic diversity in coral reef ecosystem, particularly in Coral Triangle. He is interested in using this information to advance marine sustainability in the Coral Triangle. He received B.S in Fisheries and Marine Science from Bogor Agricultural University and Master of Science in Biology from University of the Ryukyus Japan and joined the Barber lab as a PhD student in fall 2015 supported by a fellowship from the Indonesian Ministry of Education. 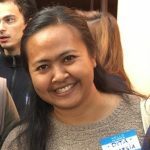 Dita is a researcher from the Indonesian Biodiversity Research Center, Denpasar, Bali. She joined the lab as Ph.D. student in Fall 2015 supported by a Fulbright Scholarship. 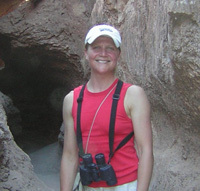 Her research background is in marine biodiversity, phylogenetics and marine connectivity. She is interested in evolutionary processes and using molecular techniques to support direct management and conservation. She received her B.S in Biology from Gadjah Mada University, Jogjakarta and holds a M.S in Environmental Science from Udayana University, Denpasar, Bali. Zack joined the lab as a PhD student in 2015. He is interested in the interplay between local (pollution, overfishing, habitat destruction) and global (climate change and ocean acidification) stressors on marine ecosystems and using this information to improve marine policy and coastal management under climate change. Currently, Zack is focused on using environmental DNA (eDNA) and metagenomics to create rapid marine biodiversity assessments to study marine protected area design in the Channel Islands. He received his B.S. 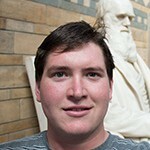 in Marine Biology with Honors from Stanford University and was awarded an NSF Graduate Research Fellowship. Visit his website here. Onny joined the lab as a master student in 2016 funded by USAID PRESTASI Scholarship. His current research focuses on using environmental DNA (eDNA) to ascertain the distribution and diversity of marine fishes across Indonesia and test the efficiency of employing eDNA methods on time-series biodiversity monitoring. Since 2010, Onny has worked as a marine biologist in the Research Center for Oceanography, Indonesian Institute of Sciences (LIPI). He holds a B.S. degree from Gadjah Mada University, Indonesia. I have been fortunate to work with some outstanding people over the years. Here are some of the alumni of the lab and what they are currently doing. Sarah Elwell (Boyce) is the Associate Director of Operations for Science at Harvard University. As a research technician in the lab, she studied the connectivity of Caribbean stomatopods, dispersal of Emerita sand crabs along the Pacific Coast, morphological and the genetic identification of Indo-Pacific stomatopod larvae. 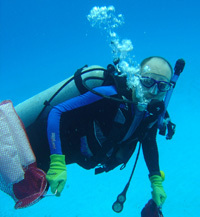 Eric competed his Ph.D. thesis on “Isolation and Gene Flow in Indo-Pacific Species with Marine Larvae” in December 2007. His research focuses broadly on how populations of marine species are genetically and demographically connected by the dispersal of planktonic larvae. He is a founding member of the Diversity of the Indo-Pacific Network (DIPnet) and is currently a faculty member at California State University, Monterey Bay. Visit his webpage HERE. 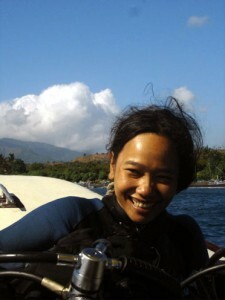 Timery completed her PhD thesis “Evolution and Conservation of Giant Clams (Tridacna) across the Coral Triangle” in 2010. Timery was a zoologist at The Nature Conservancy and a biological constultant prior to joining us BU. She completed her Masters degree at UCSD studying behavior of red-faced warblers. She is now employed at the Ocean Genome Legacy. 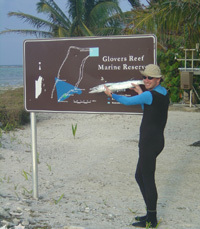 Josh completed his Ph.D. in 2008 on the “Biogeography, evolution and conservation of Melanesian coral reef fishes”. Josh integrates genetics, bioinformatics and traditional ecological knowledge to advance our understanding of the evolution and conservation of marine ecosystems, particularly fishes. He is currently a faculty member at Columbia University. Visit his lab webpage HERE. As a Senior Research Technician in the Barber Lab, Devin employed microsatellite markers on a variety of projects to understand connectivity, paternity, and natural selection on coral reef fishes. 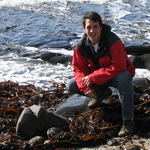 He completed his PhD thesis at Washington State University in the laboratory of Mark Dybdahl in 2009 studying coevolution of hosts and parasites. 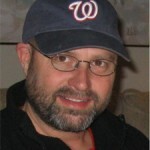 He is currently on the biology faculty at University of Alaska, Fairbanks. Visit his lab webpage HERE. Soren joined the lab as a Postdoctoral Fellow in 2010 and studied the evolution and diversification of marine tartigrades along the West Coast of North America. 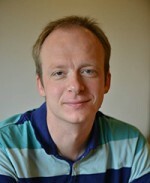 He received his Ph.D. from Aarhus University in Denmark where he studied various aspects of genetic variation in marine organisms including global phylogeography of marine tartigrades and the application of 3D imaging techniques to the study of horseshoe crabs. He is currently a postdoc in the lab of Miguel Araújo. Megan is interested marine invasive species and the factors that promote invasions. 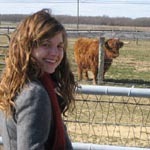 Megan finished her masters thesis at Boston University in 2007 on “Genetic Structure of Menidia menidia Across an Environmental Gradient”, and then continued on to a Ph.D. with Dr. Kai Chan and Dr. Dolin Levings in the department of Resource Management and Evionmental Studies at the University of Brittish Columbia. She is currently a Early Career Fellow at the Center for Ocean Solutions, Stanford University. 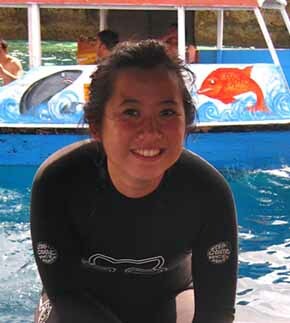 Shinta joined the lab from Indonesia on a fellowship from the Wildlife Conservation Society. She completed her M.S. at Boston University on the evolution, and genetic connectivity in fusiliers. After graduation, she returned to Indonesia where she continues to work for the Wildlife Conservation Society promoting coral reef conservation in Indonesia. Elizabeth completed her PhD. 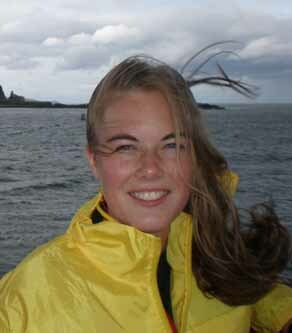 in 2012 on “A seascape genetics approach to exploring the phylogeographic response of marine fishes to late quaternary climate change.” She integrates genetics and ecological modeling to understand the evolution and conservation of marine biodiversity and developed the MARSPEC database for marine spatial ecology studies. She is currently a postdoctoral fellow at the National Center for Evolutionary Synthesis (NESCent). Craig was postdoctoral researcher in the lab, funded by the NSF PIRE program and spent most of his tenue doing field work and helping run collaborative molecular labs in the Philippines and Indonesia. He finished his Ph.D. at Columbia University and the American Museum of Natural History in 2007 in the lab of Dr. Andrew Baker. After his time with us, he did a AAAS Science and Technology Policy Fellow at the U.S. State Department. He is now a research scientist in the School of Global Environmental Sustainability at Colorado State University. Click HERE for more information. Rita joined the lab as Ph.D. student in Fall 2009. Her thesis research focuses on differential coral bleaching in Indonesia. She is examining how the coral-zooxanthellae symbiosis responds to climate change using molecular methods . She holds a M.S. in Aquatic Science from Bogor Agricultural University, Indonesia. Since completing her PhD, she has returned to her position as a Research Scientist in the Indonesian Ministry of Marine Affairs and Fisheries. Michele joined the lab in 2010 as a postdoctoral researcher funded by the NSF PIRE program and was based full time in Indonesia at the Indonesian Biodiversity Research Center. 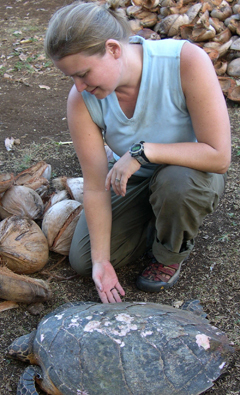 Michele received her Ph.D. from University of California, Berkeley, in 2009 examining the diversity of Symbiodidium in giant clams across their Pacific and Indian Ocean ranges. After working with us, she moved to the lab of Monica Medina. 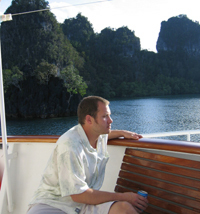 Tim joined the lab in 2006 and did research focused on the evolution, systematics and conservation of sea cucumbers in the Coral Triangle. Tim is currently a research director with the New England Aquarium where he manages a team from the engineering, marine science, and fishing industry sectors engaged in the research and development of methods to reduce fisheries bycatch. 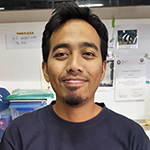 Demian joined the Barber lab as a Postdoctoral Research in September 2012 on the NSF-supported Coral Triangle Partnerships in International Research and Education (ctPIRE) project. He studies the spread and impacts of an invasive seagrass in the Caribbean and uses molecular and morphological tools to understand the evolution and conservation of high marine biodiversity in the Coral Triangle, particularly the Philippines. He is currently a lecturer at UCLA and Loyola Marymount University and continues to collaborate with us. There are many students who have worked in the lab, but are members of other lab groups. We actively support students who wish to incorporate molecular tools into their research, regardless of lab affiliation. Heidi studied the effects of toxins on chemical communication and mate choice in aquatic ecosystem. 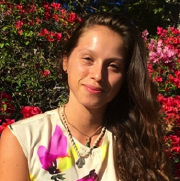 Her work focused on a hybrid zone in Mexican swordtails, and is employing a spectrum of behavioral and genetic methods to understanding the breakdown of species boundaries in this system. 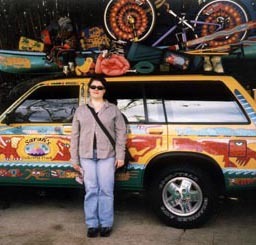 She finshed her Ph.D. in 2006 under Gil Rosenthal then did a postdoc with Hopi Hoestra at Harvard University. She is currently an Assistant Professor at University of Maryland. Beth studied the evolution of visual communication systems in Neotropical reef fishes. Her research used phylogenetics to frame questions about the adaptive response of body color patterns and visual sensitivities to environmental characteristics. She is a former member of the Rosenthal Lab. She is currently working for COMPASS, coordinating the dissemination of important scientific research to the general public. Mindy studied genetic variation in Gambierdiscus toxicus, which is a toxin-producing dinoflagellate responsible for ciguatera fish poisoning. For her thesis she investigated the global distribution of toxic and non-toxic isolates of G. toxicus in order to determine if and how the genetic variability of G. toxicus relates to the biogeographic pattern of ciguatera incidence. 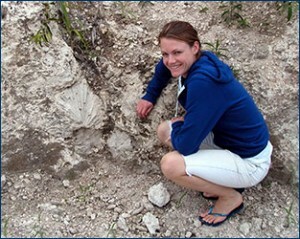 A former member of the Lobel Lab, she is presently a postdoctoral fellow at the Woods Hole Oceanographic Institution. Jason examined the connectivity of reef fish populations in Hawaii and central Pacific Atolls in the context of marine conservation and MPA siting and design. Following BU, he worked for the Community Conservation Network in Hawaii and as a Coastal Management Specialist for NOAA’s National Marine Fisheries. He currently works for Conservation International.